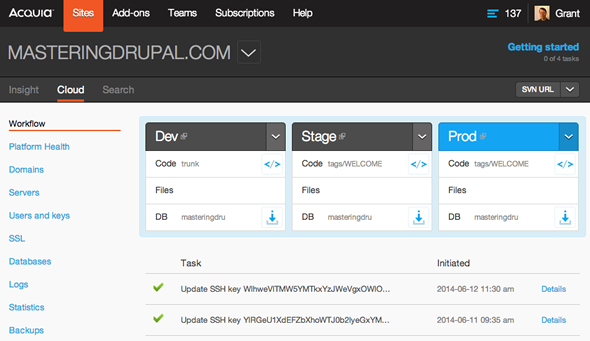 Acquia is well-suited for any Drupal web platform. I think it best plays in the enterprise space, either for B2B or nonprofit/higher ed/government. Acquia is a great solution for smaller web platforms, as well, but the price is typically prohibitive in these scenarios. Quick Base is great when you have multiple spreadsheets, multiple systems or simply no system when you want to track business operations and stats. If your business process is simple and lightweight with little data, you might get by with a spreadsheet or one or two systems, but generally the more complex the system and more information you want to collect, Quick Base quickly becomes the better solution. Acquia has a variety of products and services that serve a variety of clients that span across many industries. The wide variety of use cases, supported by hundreds of case studies, make selling Acquia to our customers very easy. Acquia's platform is secure, scalable, and designed specifically for Drupal allowing us to get projects started much smoother and quicker. Acquia is always innovating and providing new products for their entire suite. 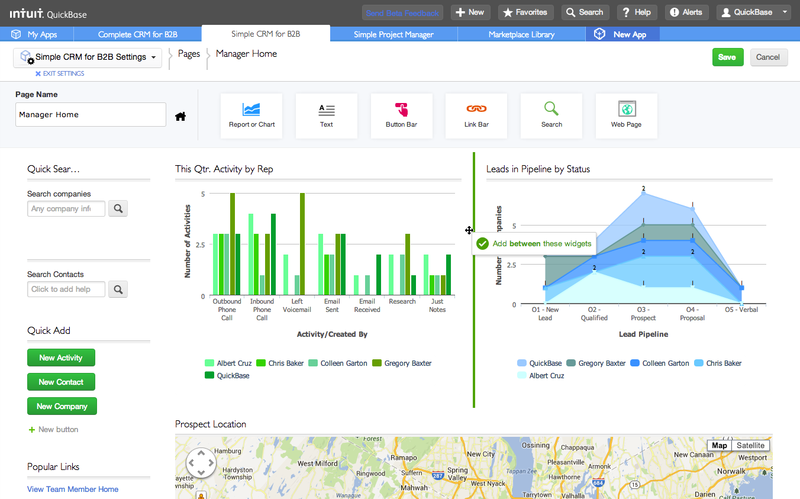 Acquia's LIFT product is a game changing platform that is starting to provide a personalization solution meant for any size client and project website. Integration with Salesforce, CSV files, QuickBooks, SFTP, Drop Box, Drive, and our own Sage Intacct. Acquia's pricing is sporadic across each product offering and for each industry vertical. Making pricing more standard across the board would help alleviate some of the doubt from our clients when they go to Acquia's site to see different products. Acquia's BLT is a new and innovative product, but still lacks a lot of use cases. This comes with more implementation examples which will definitely come with time. There is sometimes an inconsistency among different Acquia sales people and account managers. This results in a vastly different experience when bringing clients to Acquia. Mixed with Acquia's strange salesperson geographic/industry allocation, this has caused confusion for us and our clients. We'd love to see Acquia reps be more consistent across the board. We have had to go to an outside service provider for a useful Gantt chart function. This has been cumbersome and costly. This is an area for improvement. It would be nice to have an onboarding experience for someone who inherits apps when an administrator leaves. It would be great to have a workbook or training on the top things to do to get to know your app. A cheat sheet of some kind of formulas would be good. The formula helper is better, but I would like to see something like what is available in Excel. QB is an excellent platform and all other areas having my comments in this review section justify this. It's highly available. During data center movement only once during weekdays, we found some fluctuations but that was communicated quickly with frequent updates and resolved timely. I've recently had a support case opened within the week. Within 30 minutes I had a reply and was looking into resolve the issue. That day my issue was resolved and my connection between 2 apps were back on line! The online training was adequate. Intuit does a nice job of creating blog posts on training topics also. the integration was virtually seamless, with the exception of data loading. Acquia provides much more for the investment. The support and services they provide make them the best choice in choosing a platform to host your Drupal sites. Services like Pantheon may have some new tools or cool features. But Acquia always seems to come out with those features without the trouble of having the "growing pains" that come with them. I have worked on MS SharePoint server 2013, Office 365/SharePoint online, Service Now, JIRA and also evaluated KiSSFLOW. Quick Base is really good in terms of scalability. Acquia works with non-profits which is a huge plus. The Workflow and environment tools for our sites has been great at improving productivity and quality. Having services like Apache Solr, Varnish, Memcache has been absolutely critical for our success. The additional tools from third-parties that Acquia provides has also been amazing. Having easy to use tools like New Relic already available is great. It has allowed us to achieve our objectives earlier than we expected. It has given us the tools we needed to organize. It has made it possible for us to be more productive in our efforts. Custom dashboards keep the most relevant information at your users' fingertips.